I was expecting a insect net also, if you see your description it says "Replacement (6mm thick) foam inserts and insect net for EKOI AR13 helmet"
The lenses work really well in the sun and are as good as some Oakleys I have. Great product , unfortunately I had to return it as it came up to large for me even though I followed the guidelines on sizing . On the plus side the returns process was hassle free and I ordered a replacement top . I have definitely become an Ekoi fan . Amazing. Frameless design is great as there's no obstruction when looking up and the price of the product for what you get is amazing- I ordered another pair! I ordered this pair of gloves a little more than a year ago. Although I generally like the fit and feel of the gloves, they were warm enough down to 0C, and they were not even bad without the heat, the placement of the batteries is a problem. First, the batteries tend to dig into my wriists on rides, and I often would take them out and put them into my pocket once the ambient temperature rose during a ride. Second, the compartment for the batteries was so small that ensuring the batteries would not fall out during a ride was nearly impossible, so I would have to push the batteries back into the compartment many times during a ride. Finally, last month the gloves stopped heating. Although the batteries were fully charged and the lights on the gloves functioned, there was no heat. I contacted Ekoi since the gloves were still under warranty and Ekoi very quickly offered a full account credit (but not a refund to my credit card). Pleased, I immediately went to reorder a new pair of gloves since I understand they have been redesigned, Unfortunately, Ekoi only offered a UPS shipment to Japan, where I live, that cost £54. Although I would be more than willing to pay shipping for a new pair of gloves, this amount is simply way too much for the cost of the product. Consequently, I have a large account credit that I cannot use. I use this all the time for events and holidays also when I go to the Gym - perfect! I could not be more satisfied with the EKOI products. They are top race quality and the service is quick accurate and top notch!! Not to mention, affordable! These sunglasses look ok but are made of cheap, hard plastic. There is no flexibility and they irritate skin behind ears. I don't think they are very durable either. Not suitable for people with small faces. If you need a cheap pair for short commutes these are ok but I wouldn't recommend them for long rides or races. See my previous review. Ekoi replaced without quibble the gloves which stopped working. The new battery is much smaller and fits easily in its pocket. The cuffs are longer and the battery no longer impinges on the wrist. So all the issues are sorted. Good and warm jersey, slightly large and baggy compared to similar Large jerseys I have. Arms v long. Wish I had ordered a medium, but it will be good over a base layer for colder commutes and rides. Shoes, eyewear I love it very much. From now on I hope that you will be able to offer good items at an affordable price. please offer USA customers an alternate shipping method. i , over the years, have purchased from various countries in Europe: England, Ireland, Italy, Spain & France. And never paid such high prices. $ 50.00 average order and now $ 68.00. Actually your products are great and the prices are great. But i know that if prices were more reasonable USA customers will buy many more items. Well made tights that fit superb. I've worn these for several rides now and I'm pretty impressed by their quality. They fit in the right areas, the pad is the right shape for me and they look pretty cool too. All in all a good set of bib tights at a very reasonable sale price. Kept my feet warm in temps below freezing, I was wearing overshoes but the difference between these and my previous socks was significant. Hello! Bag received. She is of excellent quality! I really liked. Nice helmet. Like a "domesticated" version of Corsa Light. Marginally smaller (XL size) and little less vented and a little heavier. But still light, comfy and with that magnetic buckle I really can't imagine living without now I grown accustomed to it. Great, quality helmet. I honestly can’t think of anything to criticise. It is easily as good, if not better than my last Kask helmet. this is my second set of over shoes,the 1st set I had a couple of years ago are not getting as hot as they used to,they have been the best thing I have bought for my cycling,i used to suffer from very cold feet but with the overshoes my feet were toastie warm,the new set don't seem to fit aswell as my old overshoes,i have not worn them on the bike yet so not sure how warm they will get,hopefully they will be as good as my last set even though they don't seem to fit as good. By far the best thermal socks I have in my wardrobe. Love these. As bright as they come! Snug fit, great with zip which is covered by a small flap to protect quality. Kept my feet dry during downpour. Husband is thrilled with his Christmas present- spent ages researching and choosing and it’s as good as he was hoping. Light and comfortable helmet. Had this for a couple of weeks now and I'm really happy with it. The fit is really good and it's very comfortable. Another quality product from Ekoi. I have done 2 days commuting 2*19 km / day in 0 degrees. They are very comfy but I'll need to use underlayer since i get cold and i do put in as much as I can and work up quite a sweat. so -10 sounds a bit over the top. Excellent quality and super fit keeps me nice and warm and dry. The Bib Shorts I bought after using the gel pad tights. The fit is so Awesome, second skin feel. 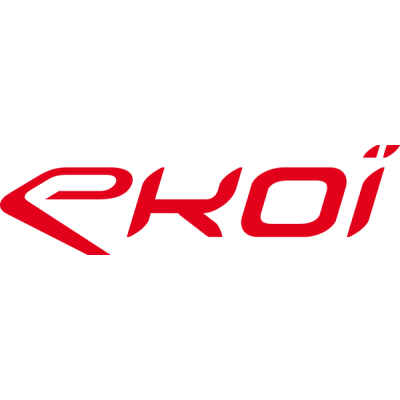 I can't Recommend Ekoi products enough. Style and function are unbelievable at this price! I don’t end up with sweat all over the lenses like some other brands. (I won’t mention Oakley and Rudy). Great helmet, comfy, easy magnetic buckle, great fit! Functions really well and looks great.